Immaculate Custom 1-story home in sought after Lake/Golf Course Community. Backyard is an entertainers dream with huge covered patio wired for stereo/tv and views of golf course. 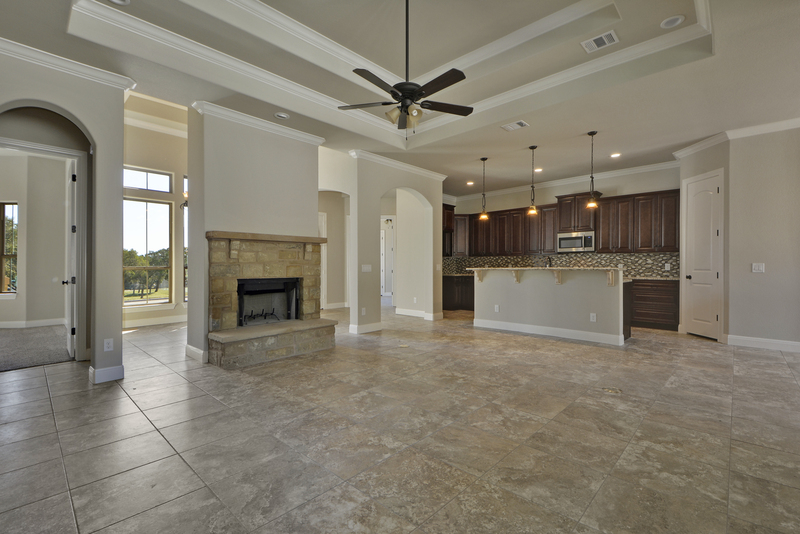 This meticulously designed home features 4 sides masonry, coffered ceilings, bright open floorplan, custom light fixtures, spa-like baths,2 oversize master closets, stone fireplace, dining room,office/4th bedroom, granite countertops,high-end Samsung appliances, and more! Garage door to be painted + custom entry doors installed.